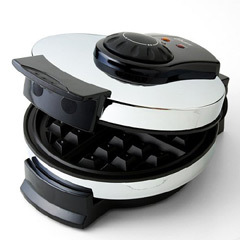 - Comes complete with a users manual showing how to make great waffles. - Also includes assorted delicious waffle recipes. - Adjustable temperature control to accomodate a variety of batters and shades, like golden brown waffles etc. The Oster family of high quality products encompass a wide spectrum of products like: Cookie presses, panini makers, breadmakers, , milk frothers, juice extractors, crock pots, slow cookers, kettles, BELGIAN WAFFLE MAKERS, 4 slice waffle makers, kitchen gadgets, blenders, electric fry pans, and wafflers, and iced tea and lemonade makers, and deep fryers to name a few. Oster is a world known company. Here at AAWSALES, every one of our items are discounted and always on sale. And to show our appreciation, we also have VALUABLE FREE THANK YOU GIFT PACKAGE offers for our customers.